Happy Monday, women of purpose! I’ve been going over my notes for today’s’ post and I wanted to write about the power of possibility. Life offers you a myriad of possibilities and opportunities. But, we have to stay optimistic, even through the setbacks and discouragement we’re bound to face. Remember Rome wasn’t built-in a day. And you will find success in your chosen endeavors. The three p’s I always incorporate into the healing phase of my purpose life, includes the resilience and comforting effects of constant prayer; putting into practice those things I believe in and persevering through the pain of disappointingly hard times. In the years leading up to my decision to end my career in nursing, my heart knew that the time to leave was inevitable and so I asked God every night to show me, in some small way, that I was on the right path to reclaiming my health, my happiness and ultimately, my life. Needless to say, the way to my personal and professional redemption has been long and laborious, but I could not have the lifestyle that I have now, if not for prayer, continued practice and perseverance. I needed to remain open to the possibilities that my gifts, talents and skills afforded me. I also embraced the opportunity of more education and practice work that reached beyond the field of healthcare. I needed to share my purpose gifts with the world in the belief that my voice would plant a seed and make a positive difference to someone who needed to reap the harvest. Where there is life, there is possibility. Where anything’s possible, it is for sure that opportunity will come knocking. I think when change comes into our lives, we automatically think of failure and setback and struggle. But, when we open ourselves to the possibility of something good coming from the muck of despair, the universe hears and opens the path leading to greater growth and prosperity. Learn to separate your needs from your wants and make prayer your safe harbor. My reality of prayer is the knowing that “The Lord Is My Shepherd!” My faith comes by believing in something greater than myself and that when I pray, my prayers are answered. When you believe in the power of prayer, the universe opens its spiritual wings to guide your steps. That higher power we are taught to believe and trust in, is God, the father. Jehovah. Allah and Buddha. That higher power is whatever works in your life to make you spiritually aware and receptive to your blessings. I know that I don’t walk alone because my God got me. Believe in yourself, in your dreams and, in your Gods’ gifts that are yours alone. In the words of the late poet, Gwendolyn Brooks, in response to some of my early works, “keep-A-going!” The lesson here? You never give up, even when you face hardship and difficulties. Don’t give up the battle until you’ve done everything in your power to win the war. I am living proof that when you persevere through the trials and tribulations that comes from living life experiences, your life will be golden. Stay optimistic and strong and always treat yourself special! I have a simple reminder for you on this blessed Monday. It doesn’t matter who you are, how old you are, what color you are or where you come from; You can still become everything God created you to be. 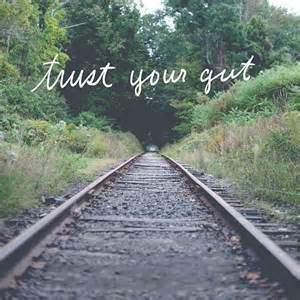 Trust your intuitive gut and aspire to make your dreams a reality. I am physically rested, spiritually restored,mind fully rejuvenated and purposefully invested in helping women reawaken to their authentic soul purpose! Your journey to authenticity is not mine and mine is not yours, but we are linked as human beings united in the woman story of life. Do you know your soul purpose? Are you willing to do the work to find out what you are called to do? This journey that calls you to step up and live on purpose is one of free will and remains your decision. 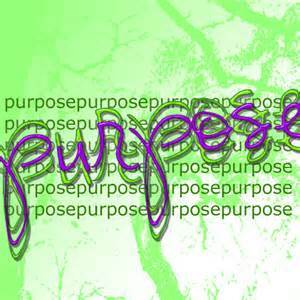 While I was away, I was consumed with understanding and connecting back to my authentic “purpose.” I spent my days praying, meditating, writing and inviting “Purpose” to reveal itself to me through God’s everlasting grace. When I received an email from a young woman named Mary, thanking me for my inspiring messages and asking for advice on how to proceed in her mission to advocate against obesity, I asked Mary to share her concerns. Mary knows she’s on a journey of change. She’s aware of her purpose, but, Mary is doubtful and fearful and on the fence about stepping outside of her comfort zone. With Mary’s permission, I want to share part of our conversation, in hopes that it opens dialogue for women to change the way they think. We all have a mission to achieve great things and to do something no one else can do. When you step into your ‘soul’ purpose, you will experience the beauty of life’s positive abundance on your journey to making a difference. No matter what you are going through, you can walk through the roadblock of fear each and every time and become happier, healthier and successful on your chosen purpose journey. Mary- Thanks for being an inspiration to me. I would like to start blogging about encouraging others how to overcome obesity. How do you get a jump-start on blogging? Me-I encourage you to start sharing your passion & what is now your purpose (one of perhaps many) to help others in the fight against obesity. And you should start by creating a free blog to start sharing with others. Mary-I sometimes get discouraged because when I talk about the fight for obesity people don’t seem interested. Would you discuss other things? Would you continue to talk about obesity? What do you suggest? Me-Yes! Continue on in your purpose. But, you should consider starting a blog and build an online following via social media networks. You only have to start sharing your authentic truths and build a community. Why not visit other blogs on obesity to get a feel for how to proceed. At our last correspondence, Mary had not started a blog. She said fear took over and she was at a loss for words. Mary is at a place in her life that I surpassed years ago. What she needs to understand is that not everyone is going to be open to your passions. Some friends, co-workers, family members and loved ones will even ignore or avoid having the conversation. The journey to purpose doesn’t stop just because we try to ignore it.